So I just got back from a grueling thirteen hour drive in a budget rental truck. A friend is moving to St. Louis from North Carolina. Being the caring guy I am, I flew down to drive the truck back. I learn something new every time I go on a road trip. This time was no exception.There were many profundities that stood out to me as I watched traffic, looked down into other people’s cars, and considered my many pathologies in the alone time I had. One of them was what I am calling Faded Jesus.For about an hour and a half somewhere around Paducah, Kentucky, I followed a real eighteen wheeler. I say real in contrast to the poser truck I was driving. On the back of this truck, some radically excited, evangelical brother had spray painted the word “Jesus.” The thing is, someone had gone behind them in an effort to clean it off. The combined effort of each individual resulted in a faded Jesus. It was more obvious in some places than others. At one point I found myself wondering if it said “Jerry.” But, no, it was definitely “Jesus.”As I considered the ironic artistic bent of an evangelical vandal, I began to think about the areas of my own life where Jesus was more obvious than others. More importanly I started asking myself what areas did I look more like “Jerry” than “Jesus.”I thought I would post that here, and let you ponder whether you look more like Jerry than you look like Jesus. What a cool thing to have a well respected blogger like Chris Gensheer ask me to guest blog for him! He must have been really hard pressed!Unfortunately, I am doing a bit of traveling myself, just for a much shorter time period. In fact I leave for the airport in five minutes.I thought I would give you my thoughts on “The Golden Compass” and check back tomorrow. I posted this a couple weeks ago on my own blog. It is my hope that the folks in the church will enjoy it as much as the atheist community, and that all of us will learn from it.Take a look at this review and let me know — talk amongst yourselves! Well, since my wife and I are in San Francisco right now, enjoying a bit of a vacation before another semester of seminary, I have asked a good friend and great writer Jared Lee to submit a couple of posts in my absence. I’m looking forward to his thoughts, and wish to introduce you all to him as well. So, be on the lookout for Jared over the next few days. “We all know, and some of us have experienced first hand, the problem of too many pastors for churches in the PCA. Yet, there has been little to no talk about how to address the problem. I think I’ve already formulated my own thoughts on the matter, but want to wait and let any of you out there chime in:Are there way too many “called” men in the process of becoming pastors? If so, what should we do about it? The book Pierced for Our Transgressions: Rediscovering the Glory of Penal Substitution is a timely and welcome resource to anyone engaged in the theological discussion concerning Christ’s atonement. Everyone from pastors to church members, theological students to interested investigator’s can find Steve Jeffery’s, Michael Ovey’s and Andrew Sach’s treatment well worth the time to read – and own. These authors set out to confront the relatively recent and influential criticism of the penal substitutionary aspect of Jesus Christ’s atoning work; the classic view that Christ died on the cross as a substitute for sinners, with God imputing (or, ascribing) the guilt of our sins to Christ, and he, in our place, bore the punishment that we deserved. This doctrine has recently come under some criticism in a more influential and widespread ways, and these authors set out to interact with the basic criticisms by establishing the reality of penal substitution from Scripture, theology, Church history, and finally they engage with the typical arguments against affirming this doctrine head on. And all the while, bringing the theology down to the very practical playing field of life. “If God himself affirms penal substitution, if it is part of the explanation that he himself has given for why he sent his Son into the world, then we dare not maintain otherwise,” (p. 33). 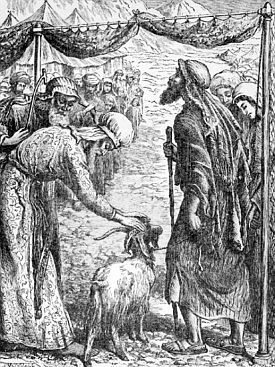 They then proceed to look at various passages of Scripture: Exodus 12 and the Passover event; Leviticus 16 and the meaning of atonement within the sacrificial system; the concept as seen in the prophets, particularly Isaiah. What is amazing is even before they reach the New Testament passages the authors have very adequately connected the concept of penal substitution to the bible and have drawn the connecting lines to Jesus Christ. They continue on, and go to the Gospels’ witness, particularly that of Mark and John, and also to the letters of Paul and Peter. 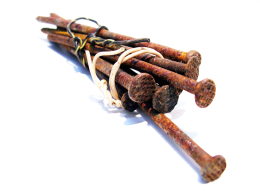 Their conclusion is that the Bible – not just one or two obscure references, but a significant thread throughout the Bible – points to the fact that God has expressed that salvation is through substitution, and this is seen ultimately in the person and work of Jesus Christ, who gave His life “as a ransom for many,” (Mark 10:45). This biblical framework is quickly followed by the building up of a theological framework, which the authors ascribe the doctrine of penal substitution a significant role, calling it the “centre of the [theological] jigsaw to complete a magnificent picture,” (p. 148). Without this concept of salvation through penal substitution, there are many facets of the Bible that become improbable if not impossible to understand; such as the Holiness and graciousness of God, for one example. They then proceed to answer the criticism that the doctrine of penal substitution is a misguided doctrine that has been steering the historic church astray at least since the time of the Reformation. To answer this charge, Jeffrey, Sachs and Ovey present 23 distinct historical theologians and organization that have upheld the doctrine of penal substitution. 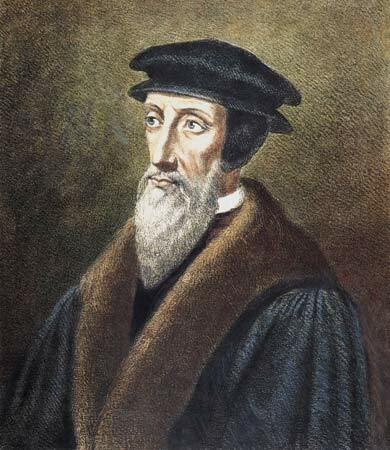 Their historic pedigree ranges from Justin Martyr (100-165 AD), Athanasius (300-373 AD), Thomas Aquinas (1225-1274 AD), John Calvin (1509-1564) and J.I. Packer (born 1926). Needless to say, they quite convincingly lay aside the misconception that the doctrine of penal substitution is a novel and misguided concept. After they have built the case for penal substitution from the Bible, theology, pastoral/practical implications and also historical theology, the authors then begin to engage the specific points of debate. The address how the doctrine of penal substitution addresses and answers the criticisms regarding the Bible, the culture, violence, justice, our knowledge and right understanding of God, as well as our right understanding of the Christian life. I find this section of the book to be of immense value as a resource to draw from while in pastoral ministry. It is full of helpful and illuminating connections and points of response to some very common questions regarding faith and belief in Jesus Christ. “The Lord Jesus Christ did not come into the world to meet with his friends. He came to die for his enemies,” (p. 152). 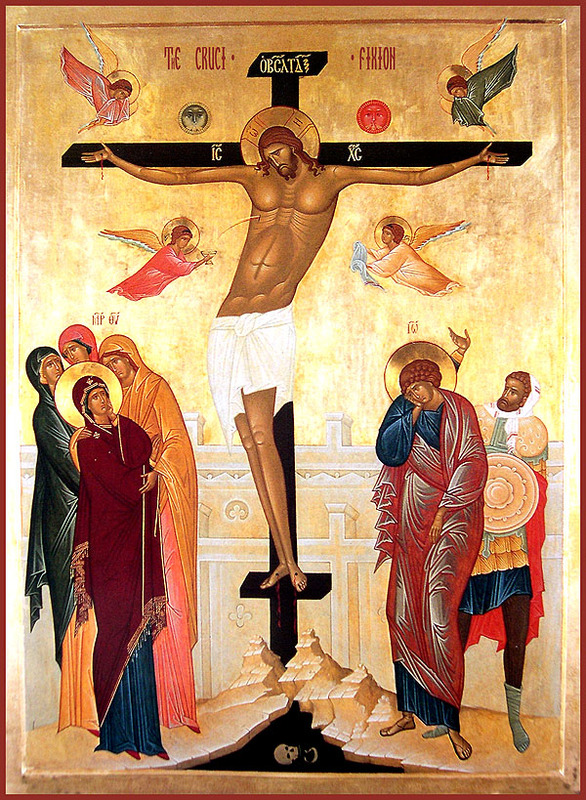 Pierced for Our Transgressions has helped me to see once again, the glory, wonder and sheer gracious love that is seen in Christ’s death on the cross on my behalf. This cuts away at my pride, superiority and desire for that which would replace my longing for God and His honor. By seeing myself as at one time God’s enemy, I can rejoice and bask in the finished and atoning work of Jesus Christ, who lived and died in my place, and welcomes me into the family of God. This book is once again, well worth having on the bookshelf. Clear, compelling and comprehensive; I can’t think of a better resource to draw upon when considering the glory of penal substitution and its impact on our lives and ministries. 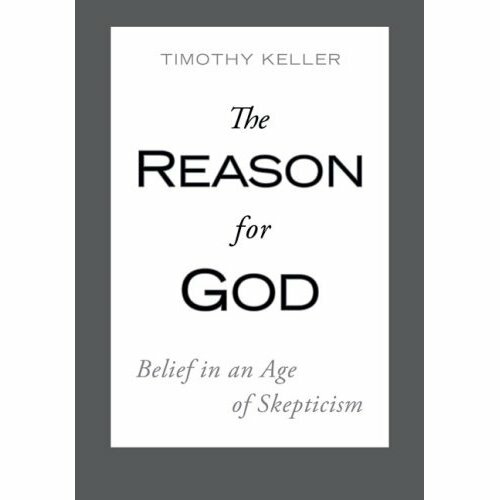 Well, Tim Keller’s new book is almost out – The Reason for God. Have your pre-ordered your copy of it? I would, if my seminary book expense wasn’t as large as it was. Somehow I’ll get my hands on it I’m sure. If you want some reasons to go buy the book, go check out the recent interview Justin Taylor did with Dr. Keller over at Between Two Worlds. Also, go check out Colin Adams’ blog (Unashamed Workman) for a semi-recent interview with Tim Keller on preaching and ministry (Click here). 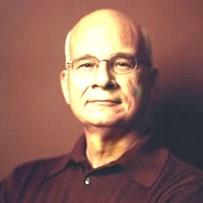 And if its possible that you don’t know of the quintessential Tim Keller resource site on the internet, go over and check out Steve McCoy’s blog, which is well worth the read and subscription any day, even when not talking about all-stuff-Keller: Reformissionary. Hello friends among the blogosphere. For those of you who are regular readers of this blog, I want to express my thanks and appreciation to you, as well as apologize for the infrequent postings lately. The end of the year was a rather rough one for the Gensheer family, and so I have taken some much needed to time away from the “normal” routine of life and that has included time on the internet and blogging (Stephen – I just got your “tag” on me yesterday, so I’ll have to put some thoughts on it and get back to you; I’m looking forward to your visit here to St. Louis too). We were excited to finish this past semester for several reasons. One of the biggest reasons was that we finally had a newsletter to send to you – our friends and supporters – with some exciting news, and we were greatly anticipating our time in Augusta to share with all of you what God was up to in our lives in person. I finished my last exam on a Friday afternoon, and after Maggie and I finished packing, we started to stuff our newsletters into envelopes and get them ready to be sent out the following morning. In that newsletter we include the news that we were in fact pregnant and expecting our third child. We had just found out about three weeks prior, and had only told a handful of our closest friends and family. We were excited, and couldn’t wait to share the news with everybody. The next morning, I woke up early to shuttle some friends to the airport, thinking I would be the only one up that early (4:30 AM). Maggie also awoke to discover that things were not quite right and was worried that she was “losing” the baby. That morning was spent in anxiety and fear after several phone calls to the doctor. The day ended with an evening trip to the Emergency Room while driving through a snowstorm only to receive the news that whether we were pregnant before or not, we certainly were not pregnant anymore. We had miscarried the baby. Some of you know immediately what this feels like as you have experienced the same thing. We were ambivalent; we had no idea how we felt because we felt too many things and all at the same time. For several days we were a mixture of anger, fear, anxiety, grief and sadness. Our time in Augusta quickly went from excited anticipation of reunion and catching up with all of our friends and supporters, to one of retreat, reflection and healing. We are still processing our thoughts and feelings, and we are thankful for the many of you who have quietly understood our need for a break, and even those of you with the kind and gracious words of empathy at certain times. We thank you for helping to validate our feelings and process this tragedy, without quickly dismissing it and jumping to the facts of the matter. “Experiences are very powerful. They often feel more powerful than promises. So it’s tempting to interpret prosperity and ease as God’s blessing and tribulation as God’s displeasure. And sometimes they are. But often they are not. Actually, what we see all the way through the Bible is the Lord training his disciples to trust his promises more than providences…In the Bible pain is often the path to unspeakable joy and prosperity is often an obstacle to it. What’s going on? I am not claiming that it is easy to trust in His promises more than His providences. I do know that He is good, that He has a plan, and that ultimately every wrong in this world will be righted. I also know that I have to live in this world as it is – in all its brokenness, tragedy and unfulfilled hopes, and through it all, there is so much that I can take for granted in between the Kingdom of God being here now, and still not yet. This is something else that God is teaching us. That in the way we functionally live, it is easy to presume that life will carry on unhindered by the realities of a fallen world. Maggie and I have almost jokingly (but no less seriously) commented that maybe one day we’ll get to a point where we can learn whatever it is that God is wanting to teach us in a less tragic ways. We appreciate C.S. Lewis’ observation that God often “screams to us in our sufferings,” and I have no doubt that there is more in this for us to take-away; but for right now, we’ve been served well to relax these past couple of weeks. Thank you to each of you for allowing us to remain in your thoughts, concerns and prayers over this past year. We pray and hope that you will continue to remember us and lift us up to our Heavenly Father as we start to head back into another year of seminary. We have communicated through our newsletter a good bit regarding what opportunities await us in terms of pursuing the ministry God is calling us to, as well as our pressing need for both prayer and financial support. If you haven’t received it, forgive us, and if you would be so kind as to supply us with your most current mailing and email address, we can gladly put one in the mail to you in the next couple of weeks. When should a preacher get “out of the pulpit” (for a day or two)? Mark Driscoll has some usually good insights into preaching, specifically how to plan out your year in light of the ebb and flow of church life and ministry. Worth checking out here in its entirety. What are yours – pastors, students, church members? When do you think a pastor should be in and out of the pulpit? – A. W. Tozer, The Root of the Righteous, page 50. Thanks again to Ray Ortlund for yet another great quote (full post here). If you ever need a good thought or quote to stimulate some thought (or prayer, or in this case for me, repentance), go check out Ray’s blog: Christ is Deeper Still. 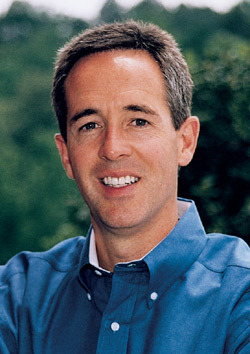 “Andy Stanley refuses to stand up and preach until he knows the answer to two questions. He reveals these questions in his newest book, Communicating For a Change, which is co-authored with Lane Jones. The questions are (drum roll, please!) . . .
1. What is the one thing I want my audience to know? 2. What do I want them to do about it?